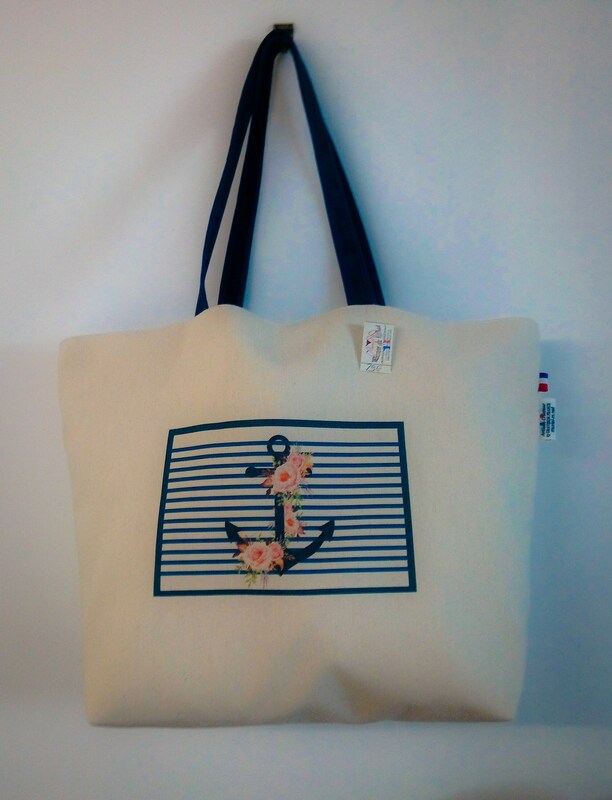 Tote bag that can be used as a beach bag. 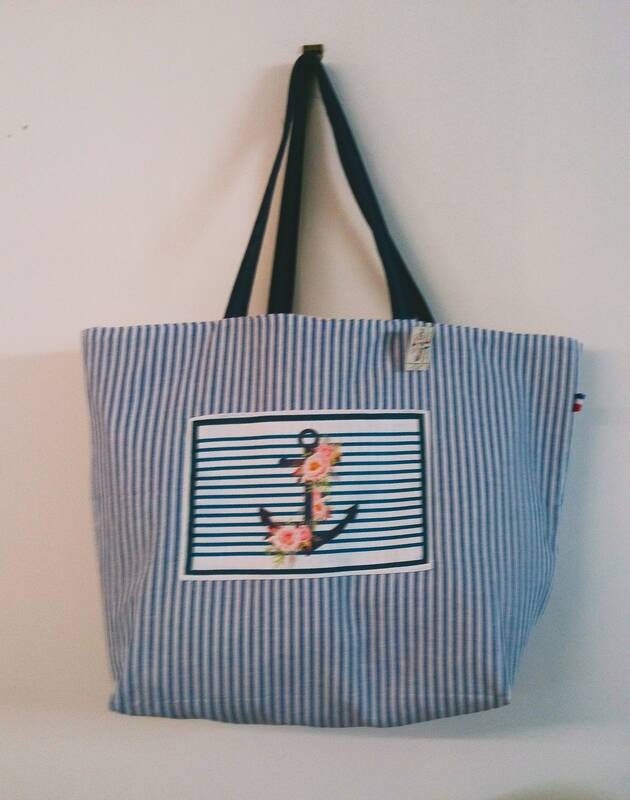 Reversible, it has one side with blue striped fabric decorated with a Navy stripe pattern, anchor and roses vintage, the other side is plain and decorated with the same pattern. Polyester fabric and cotton blend, machine washable at 30 degrees. Everything is done in the workshop: design, creation, print, making.